Enjoy a daily sweet treat that is good for you and baby. I remember when I was pregnant and that was five times, six if you count the miscarriage. I remember wanting to take care of my health for the sake of my unborn child. That was a difficult task as I was sick to my stomach for three months and then the last three months the baby took up so much space that I did not have room in my stomach to eat much. When I did feel like eating I tended to reach for food that I could eat without feeling sick. Oh, there was also the potty problems too along with bloating. The joys of being pregnant, but it was so worth it as I have five wonderful children. I recently discovered a delicious vanilla caramel that not only tastes great but helps with digestion. Premama designed these with pregnant ladies in mind but us non-pregnant ladies and kids can enjoy them too. I love that these sweet treats contain probiotics and fiber, so they are great for constipation and bloating. These soft caramels also support a healthy immune system which makes them great to enjoy before, during and after pregnancy. 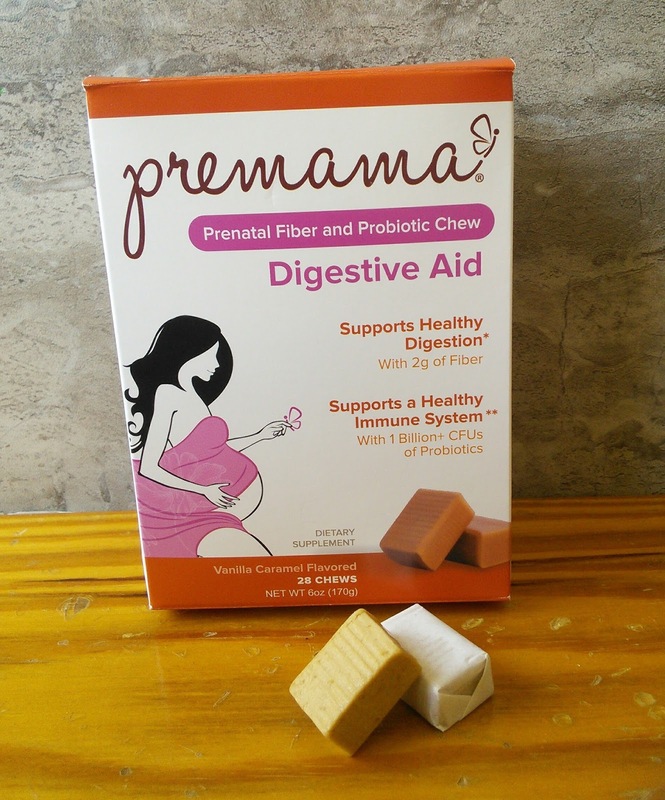 Before you ask, I am not pregnant, I just simply want to tell my pregnant friends about this digestion aid that is so easy to take, unlike those horse pill vitamins (Premama has a delicious vitamin drink too.) My boys also love the taste of these chews and I gladly offer one every day to them as probiotics are so beneficial to them. My boys have been taking probiotics for a while and they have fewer tummy aches. I also can't remember the last time they had a cold. 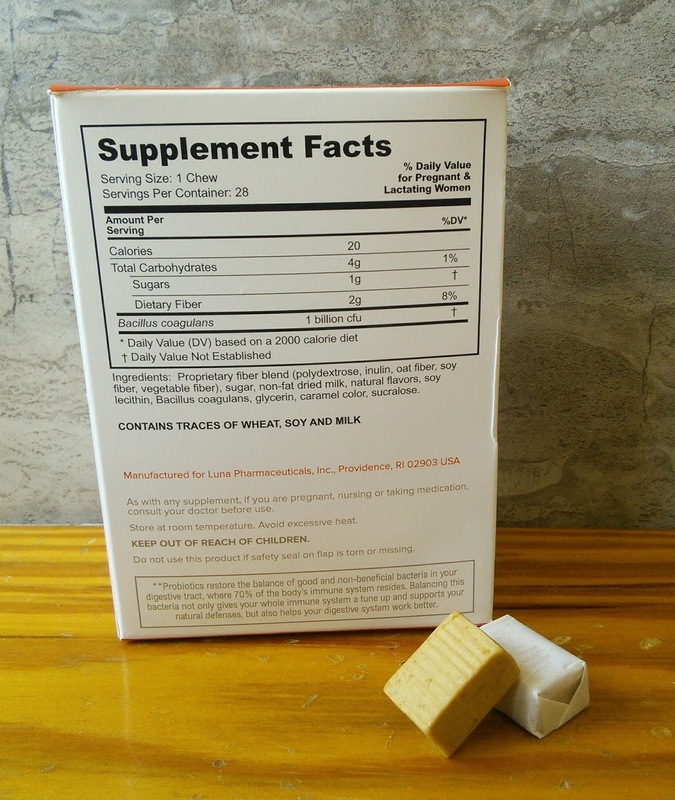 Back to these delicious vanilla chews, you must simply try one, they are available online at Amazon and LuckyVitamin.com. You can also find them at Meijer and GNC stores. How I wish these were available when I was pregnant, maybe I would not have had all those potty problems. So support your digestion and immune system with a delicious treat that is vegetarian, naturally flavored, and low in sugar. The awesome thing about this caramel chew is you don't even have to be pregnant to enjoy them, but if you are then congratulations! Check out more about these delicious vanilla caramel chews at the following links. "These opinions are my own and I received a sample of Premama Digestive aid to facilitate this post." I am ALLL about healthy digestion so I support this product x1000 %! This is such a great thing! I especially love that it's a chew. I hate taking pills, so I buy chewable things when I can. The vitamins I have are gummies! This is so great! It should be a really good product. Looks interesting, I took other brand when I got pregnancy. Really good for baby. I love the fact that supplements are easier to consume these days because of the flavors and the way it's packaged. It would have been awesome to have this when I was pregnant with the twins! Wow! What a great way to boost immunity. Love to try this too. This is awesome! These actually look like they taste amazing! What a yummy way to help with digestive health while pregnant. They have come out with so many different products to aid during pregnancies. This one looks great to keep your digestion on track. Wish they had these when I was pregnant! They would have tasted better than what I had! I had a difficult pregnancy and the smell of vitamins and healthy drinks that time was unbearable. I wish I had try this before. I really could have used these during my pregnancy. I was sick with all 3 of my kids from morning to night. Couldn't even hold down water most days. I was always concerned that I wasn't getting enough vitamins. It's so important to get the right supplement when pregnant. Helps both mommy and baby! I wish I knew of this when I was pregnant! Healthy digestion is very important. I have IBS so the title of this definitely got my attention. Thank you for spreading the word.